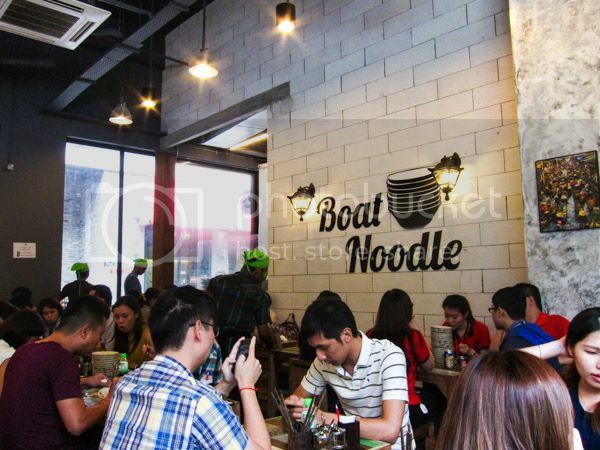 Whether it is a fad or just marketing concept, Boat Noodle at Empire Damansara certainly did something right somewhere. They have been mentioned here and there that they have garnered the well deserved attention. 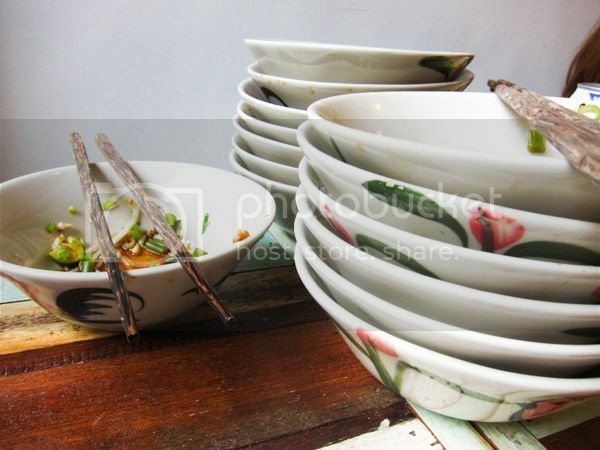 A quick search and you will notice of photos of stacked empty bowls which are associated to this place. It is as though there’s an unspoken challenge laid down for customers to outdo each other with the number of bowls consumed per seating. The queue at any time (but mostly during peak period) can be terrifying is considerably long. Even when we were there on Friday, the shop was filled up to the brim that any customers after us needed to wait for a table. 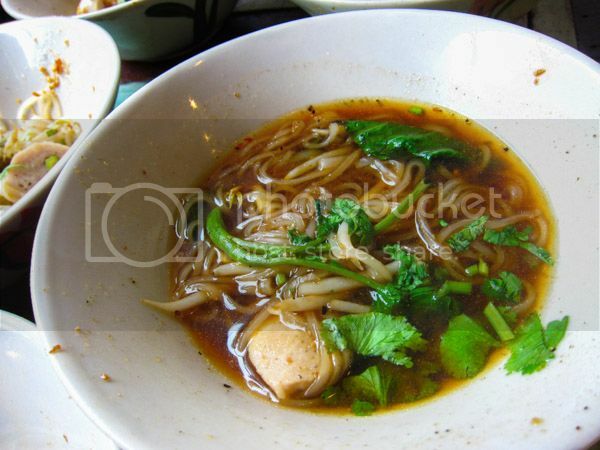 The menu is fairly straight forward; dry or soup and beef or chicken. For RM1.90 per bowl, it sounds like a good deal. But one needs to know, to avoid any disappointment, that the portion of the noodles per bowl is tad little (read the comments in Foursquare and you’ll probably get the idea.). On my scale/measurement, I could can gobble them up at a go effortlessly. 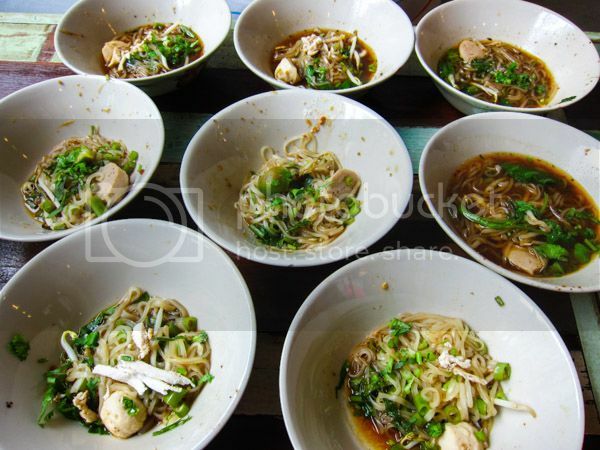 That said, I have not been to Bangkok yet, therefore it is unfair to compare the portions between them. 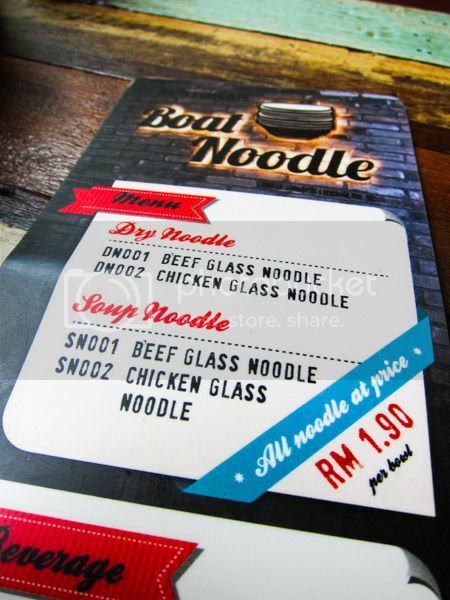 Personally, I would go for the soup version due to its flavoursome, spicy broth. It has this satisfying kick with savoury endings. 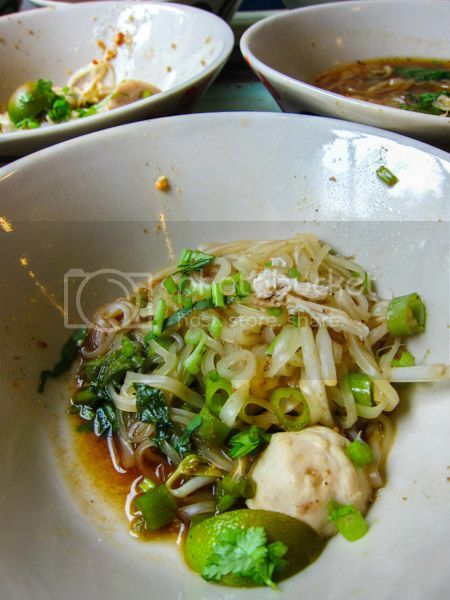 The glass noodles were cooked nicely with a good bite to it. Between me and my friend, we both ate 14 bowls that day. Were we satisfied? Well… not really but we couldn’t afford to wait any longer as any extra orders will require much patience. 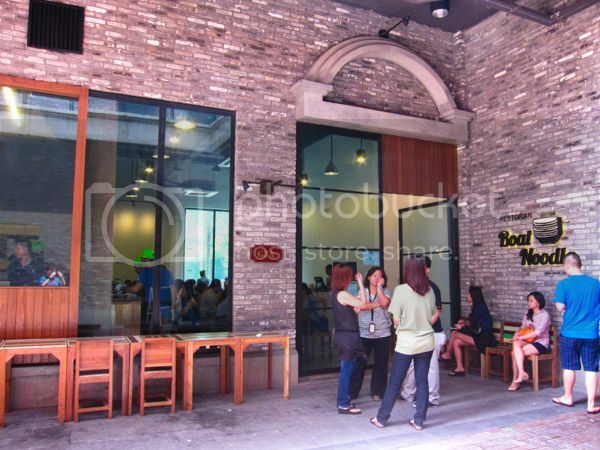 Therefore, it is advisable to order as many as you can stomach once you are seated.